Andrew Friedenberg is the founder and director of the CINEMA SOCIETY. In an attempt to shape San Diego into a truly cosmopolitan city and to rejuvenate the arts community, Friedenberg founded the Society in 1984. In addition to coordinating the annual 8-month series, Friedenberg has presented numerous other cinema series, including ACADEMY AWARD WINNERS AND THEIR FILMS, with Charlton Heston, Louise Fletcher, Karl Malden and Robert Wise and THE DIRECTORS GUILD GOLDEN JUBILEE CELEBRATION with visits by Mark Rydell, Richard Donner, Buck Henry and Michael Apted. He was the creator of the "Floating Film Festival", which had a barge with screen and projector float to communities along the San Diego Bay; and "Pictures at the Prado", which combines an elegant dinner and classic movie at the Prado Restaurant in Balboa Park. In 2005 he was the cinema coordinator for "Cinema Summer" at the San Diego County Fair. 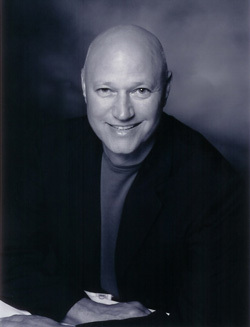 Friedenberg founded and presented San Diego Symphony's popular "Classic Film" silent film series, and is frequently heard on local radio and television shows on the subject of motion pictures. Friedenberg graduated from Boston Universtiy, School of Public Communications, with a B.S. in communications. He pursued a career in the film industry, working with United Artists/MGM for two years and Columbia Pictures for four years as a regional publicity / promotion manager. He is a member of the Academy of Motion Picture Arts and Sciences, as well as the British Academy of Film and Television Arts, Los Angeles.